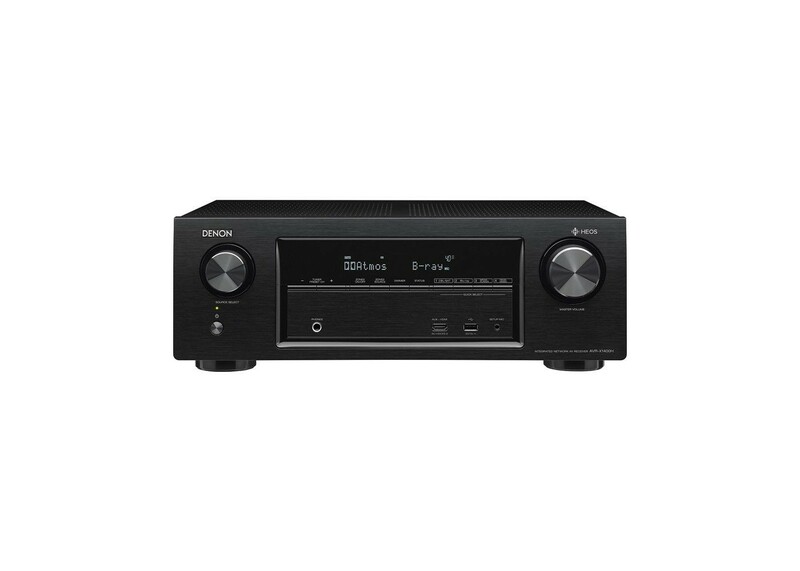 You will receive: 1 Denon AVR-X1400H Black 7.2 Channel A/V Surround Receiver. The AVR-X1400H 7.2 channel AV Surround Receiver delivers state-of-the-art 3D surround sound and powerful music performances, thanks to built-in HEOS technology. Now available – control with Amazon Alexa voice commands. The AVR-X1400H’s advanced video section is fully compatible with HDMI latest specification and HDCP 2.2 specifications and prepared for any 4K Ultra HD source. High Dynamic Range (HDR), Dolby Vision compatibility and Hybrid Log Gamma (HLG, via firmware update) are also available. Featuring high current discrete power output devices on all channels, the AVR-X1400H delivers high power and is rated at 80 watts per channel (8 ohms 20Hz~20kHz, 0.08% THD). There’s also an Auto Eco mode that adjusts the maximum power available according to the volume level as well as an on-screen Eco metre that lets you see the power consumption reduction in real time. The AVR-X1400H easily guides you through the set-up process to ensure the most accurate configuration. Optimize all settings for the best possible sound and video quality with your system from the get-go. The AVR-X1400H features the Audyssey MultEQ XT room acoustic measurement system. With the supplied microphone, it exactly analyses each speaker's output to optimize each channel. With the additional Audyssey MultEQ Editor App (available for purchase), very advanced users can go even further "under the hood" if desired. The AVR-X1400H's built-in HEOS technology allows you to stream your favorite music wirelessly around your home to any other HEOS speaker.